"We know you need more than just a great API. You need to be immediately productive. 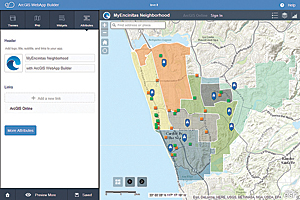 You need tools to get started, so we are constantly working on ways to help your development," said Powell, product manager at Esri. Specifically, she demonstrated a new upcoming wizard in ArcGIS for configuring web applications called Web AppBuilder.